One day I would like to live in the middle of nowhere and grow my own food and try to be self sustainable. This may just be a wild eyed dream, but I was wondering if my craft would be sustainable at that point. If I had one sheep, what kind of felting projects could I pull off? 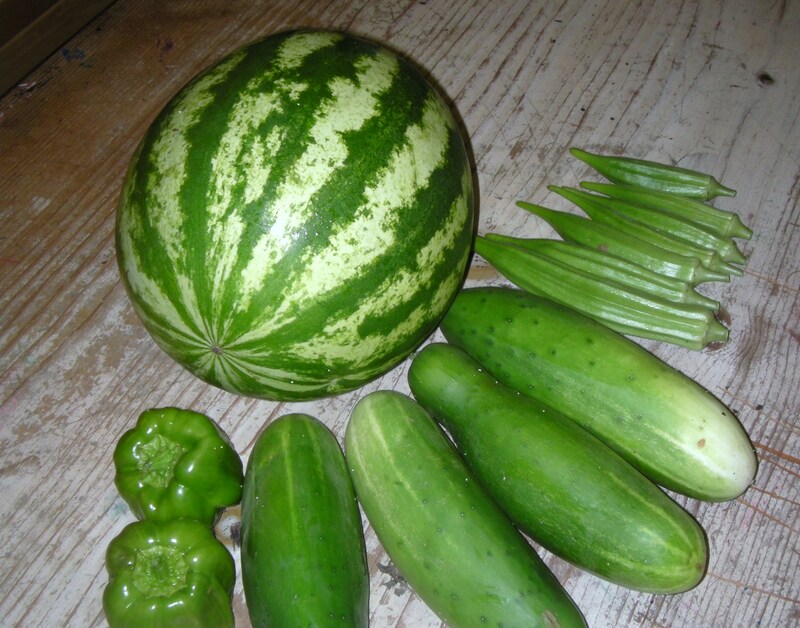 I harvested these from my garden a few days ago. So, I did a little research on sheep shearing. Turns out there are two kinds of sheep one raised for its fleece and one raised for its meat. I am going to be talking about the former. A sheep is sheared annually at springtime. This relieves them from the heat and from the weight of their heavy coat; it also helps prevent infections from anything that would take up home in their matted wool. One sheep can produce 2 to 30 lbs. of wool a year. This changes upon breed. For my experiment, I choose to use the average amount a sheep produces annually in the U.S. which is around 7 lbs. a year. 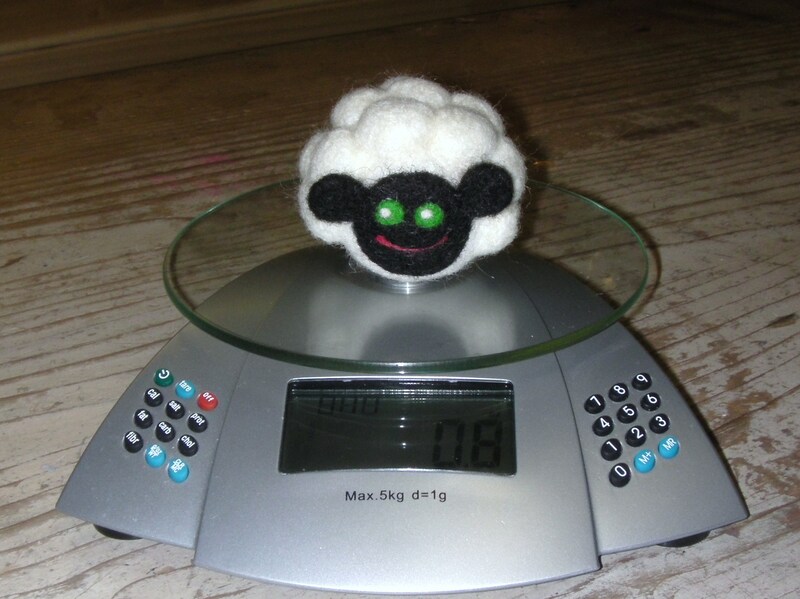 The Sheep weighed in the heaviest at 0.8 ounces. 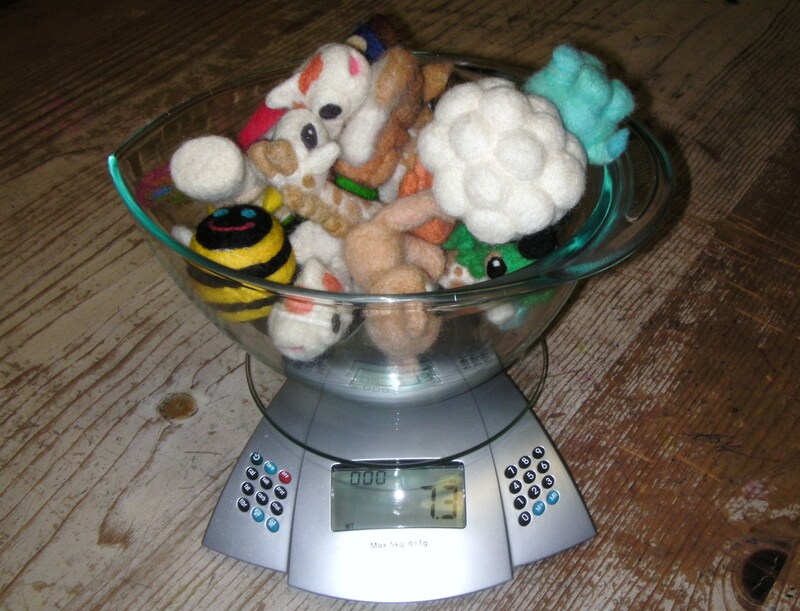 After researching this I weighed each one of my needle felted creatures(at least the ones still in my possession), altogether they weighed 7.3 ounces. There are currently 17 of them, so that is an average of 0.4 ounces each. So if one sheep produces around 7 lbs each year, then each year I could make 280 felt figurines. That is a lot of felted cuteness. I filled the bowl to the brim! “Well why is this important to me?”, you ask. Well if you are also practicing needle felting or wet felting it would be interesting to know how many items you can make whether you order your wool online or shear it from your own sheep. Mine are very small creations, around 3 to 7 inches. So this average only works for me. But the math is easy and if you order say 5 lbs of wool, you can easily calculate how long that stash will last. I was running out of wool(I had previously ordered a couple lbs) and I was curious how many more projects I could make from my stash. Now get to calculating. I was very surprised at how many toys I could make by just raising one sheep. I could make 280 kids very happy, not to mention how happy that would make me! Happy felting!